There were several different ways to get to Stavanger from Kristiansand. One is the more "scenic" route which is turning off of the E39 towards Egersund and taking the coastal route up to Stavanger. An alternative though would be to head to Frafjord before arriving in Stavanger. This is the opposite direction from Egersund. 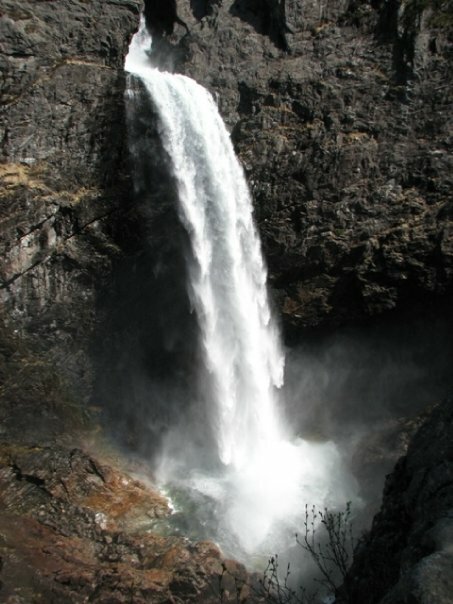 Here is the Månafossen Falls which is Norway’s ninth tallest free fall waterfall. From the parking area you proceed on foot along the southeast bank of the river. 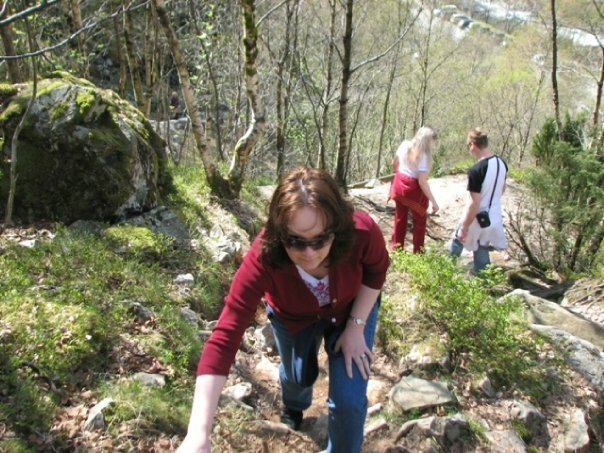 The path up to Månafossen is steep and rugged in places. 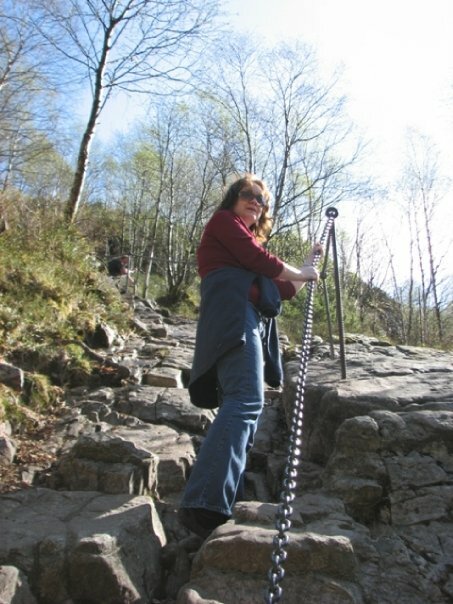 The steepest spots have steps and chains that you can hold on to as you climb. We did a combination of both. We drove along the coast to Hå and saw the lighthouse there. The center at the lighthouse did not open until noon and we didn't want to wait (we were there around 11) so we headed back inland to Månafossen Falls which was BEAUTIFUL. You have to climb to get there though! The views were nice along the coast of Norway but I REALLY loved the views we saw inland too. Just spectacular. You have to climb though to get there. Here is a look at the waterfall. There are chains that you can use (if you are old like us!) and need help to get up to the waterfall.